Today low-cost carrier Frontier Airlines announced new low-fare service between Pensacola (PNS) and Chicago O’Hare (ORD). In addition, the airline published their schedule for previously announced flights to Denver. 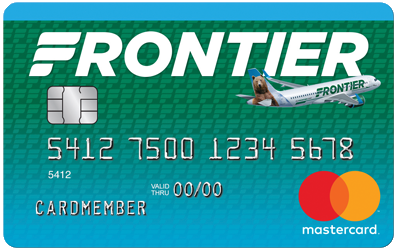 Frontier will celebrate the new service with fares as low as $39 at flyfrontier.com. “We are excited to show our commitment to the Pensacola community with more low-cost flight options,” said Michael Pewther, senior director onboard experience - Frontier Airlines. “Even before our first flight has taken off from Pensacola, the community interest in our Low Fares Done Right product has been great and that’s why we are now offering flights to both Chicago and Denver; on sale today for as little as $39. Frontier is focused on more than low fares. The carrier offers customers the ability to customize their travel to their needs and budget. For example, customers can purchase options a la carte or in one low-priced bundle called the WORKS. This bundle offers Frontier’s most popular options for as low as $59 each way and includes refundability, a carry-on bag, a checked bag, the best available seat (including stretch, extra legroom seats), waived change fees and priority boarding. For B-roll, photos and additional information visit our media files or Low Fares Nationwide page. Frontier Airlines is committed to offering ‘Low Fares Done Right to more than 90 destinations in the United States, Canada, Dominican Republic and Mexico on nearly 300 daily flights. Headquartered in Denver, Frontier’s hard-working aviation professionals pride themselves in delivering the company’s signature Low Fares Done Right service to customers. Frontier Airlines is the proud recipient of the Federal Aviation Administration’s 2016 Diamond Award for maintenance excellence and was recently named the industry’s most fuel-efficient airline by The International Council on Clean Transportation (ICCT) as a result of superior technology and operational efficiencies. Fares must be purchased by 11:59 pm Eastern time on Oct. 18, 2017, for nonstop travel through Aug. 11, 2018. Travel is valid Monday through Saturday. The following blackout dates apply May. 24-29, 2018, and Jun. 29-Jul. 9, 2018. Fares are one way and do not require roundtrip purchase. Discount Den fares are only available at FlyFrontier.com to members of Discount Den. Fare(s) shown includes all transportation fees, surcharges and taxes, and are subject to change without notice. Seats are limited at these fares and certain flights and/or days of travel may be unavailable. Depending on the fare type purchased, nonrefundable tickets may be transferred for a fee of up to $75, or reissued for alternate flights for a fee of up to $99, as well as a possible fare increase. The name change fee and itinerary change fee are not exclusive of each other. Previously purchased tickets may not be exchanged for these special fare tickets. Flight segment(s) must be cancelled prior to scheduled departure time or the ticket(s) and all monies will be forfeited. Tickets purchased at FlyFrontier.com must be paid for at the time the reservation is made, you may request a full refund up to 24 hours after the time of purchase, if the purchase is made 7 days (168 hours) or more prior to your flight's departure. This ticket may be canceled and refunded at the My Trips section on FlyFrontier.com. Additional travel services, such as baggage (https://www.flyfrontier.com/travel-information/baggage/) and advance seat assignments (https://www.flyfrontier.com/travel-information/seating-options/) are available for purchase separately at an additional charge. Fares include all transportation fees, surcharges and taxes, and are subject to change without notice. Some markets do not offer daily service. Schedules are subject to change without notice. Flights are operated by Frontier Airlines. Other restrictions may apply.